A Finnish advisor to the president of the Skolkovo Foundation shares his impressions of Russia. If you’re working in international business, you have most likely participated in some kind of diversity or cultural training sessions. You know the kind. Those meetings where we learn that Germans are punctual, Italians are emotional and Finns don’t talk — without some alcohol. For me, the past 1,000 days of working in Russia have been a true deep dive into the Russian landscape, business culture and mentality. And I have gained an understanding that is impossible to get from these sterilized meetings, which tend to focus on stereotypes. During this amazing journey, I have visited 59 Russian cities, embraced numerous governors and seen all 11 time zones of this enormous country. And it is worth mentioning that all my preconceived notions about Russia were wrong. Before deciding to come to work in Russia, I had very little knowledge of it, even though my own country — Finland — shares a long border with it. 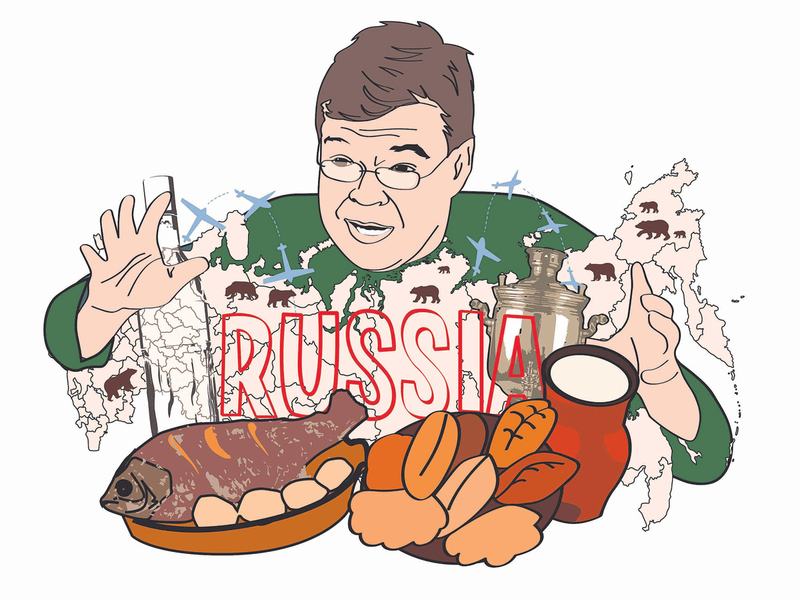 I had been a tourist in Moscow and St. Petersburg, but as the Finnish and Russian languages share probably only three common words, my ability to communicate and get to know people was very limited. So what are my observations so far? I’m a nerd, so I was thrilled to see the level and quality of telecommunications across the country — in complete contrast to my wildest expectations. Russians truly love and use all the latest gadgets. The post-Soviet “PlayStation Generation” is particularly well connected. Social media is widely used, and news from all over the world is at everyone’s fingertips. There is no “Great Firewall,” on the Russian Internet, like in China, so it is very annoying to see even serious, informed people lump Russia and China together in the same category when discussing online freedom. Despite all my doubts, the infrastructure of the cities I have visited more or less meets European and American standards. Yes, some of the roads are pretty bad, but airports, hotels, restaurants and other services are well developed. Starbucks is everywhere, and I use my credit card for almost everything. I pay my bills using the online services of Russian banks, and money transfers from my home bank can be arranged overnight. For travel I use mostly airlines like Aeroflot, which has a very modern fleet of Airbus planes. I am not a specialist in air travel by any means, but as an anecdote I must say that in the past 1,000 days, I have only had my flights delayed twice, and for 15 minutes at the most. Of course the state of the Russian economy right now is not good, but this current turbulence is good for my business — promoting the culture of startups and innovation in Russia. If oil prices were high, it would be practically impossible to convince any local businesses to make difficult restructuring decisions. Naturally, I don’t wish hard times on anyone, but now, when I see the creation of new businesses and the modernization of big companies, I can’t help but think that there are some benefits to the current situation. Also from the standpoint of an investor, the devalued currency has created many opportunities — after all, our potential to make money occurs in the “buying” stage of the investment. But I must mention the most beautiful part of life in Russia — the food. When I arrived in the country, the only Russian food I knew of was borscht. But in the first few days, I realized that Russians will spend a lot of money on two things — high-quality food and high-heeled shoes. In every city I visit, I just have to log on to TripAdvisor to see an amazing variety of restaurants and cuisine. There is something for every taste — from sushi to Caucasian cuisine. So, dear friends in the global business community, open your eyes to Russia. Take it from me — seeing is believing!